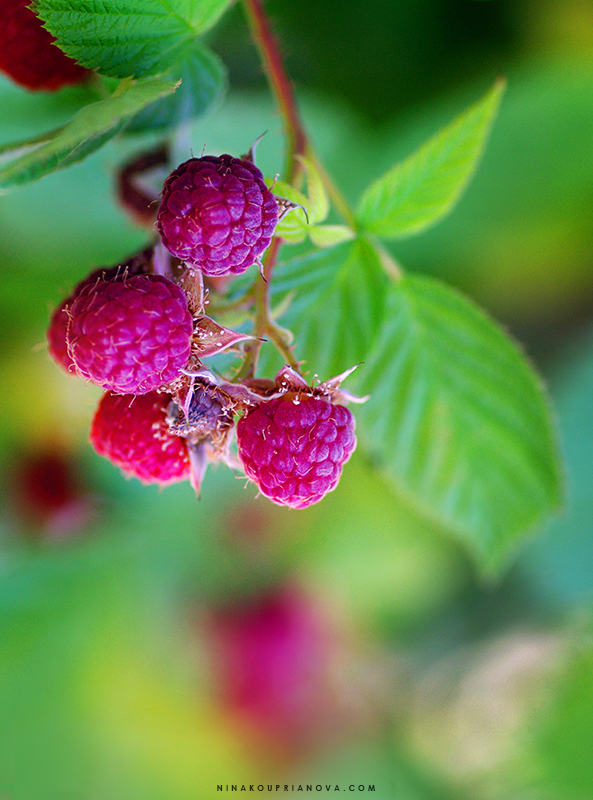 Eat raspberries right off the bush! Actually, about a week ago, one particularly wild redhead--my parents' basset hound Polly--did just that. The former headed into the Canadian woods to pick blueberries, taking the dog along. After a few minutes of observation, Polly decided that being left out of this fascinating exercise was not an option and proceeded to eat those berries right off the plant, leaves and all.